The recent integration between our conveyancing software and Land Registry’s Business Gateway allows users to submit their AP1 form online, straight from our case management system. 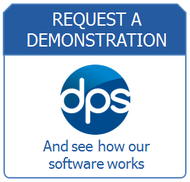 DPS Convey saves solicitors time by entering all the relevant information stored within the system into the form automatically, while allowing them to amend it if necessary and attach any supporting documents associated with the matter that they would like to submit with the form. As the online submission of the AP1 implies a reduction in the price of the service, solicitors are able to pass this saving on to their clients and offer them more competitive rates. Wanting to help our clients meet the necessary requirements for successful submissions, we have undertaken this integration work whose final result is the real-time data transfer to and from our case management software and Business Gateway. Once completed, the submission is then saved against the right file in DPS. All new and existing users can access this functionality at a click of a button. Our conveyancing system was designed to respond to the needs of today’s conveyancing specialists by providing them with over 600 ready-to-use templates and features including online SDLT submission and standard & amendable workflows for conveyancing work. Business Gateway offers instant, automated access to the information in Land Registry’s trusted property records. It is Land Registry’s business-to-business electronic channel which lets our case management system communicate directly with Land Registry’s systems securely via the internet using web interface technologies. Users are not charged for accessing this service although the usual fee is payable for each Land Registry service that they use. More information about the Business Gateway is available here.